Looking to buy an Easter basket for that special little girl. We have the perfect basket. 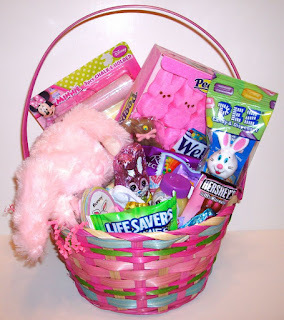 You get a pink wicker Easter basket filled with candy , sidewalk chalk, pink peeps, bubbles , Easter theme card game and an Easter bunny. Some of the candy you get in our girls Easter basket is : Easter Pez with refill packs. pink foil wrapped bunny, chocolate bunny sucker, Hershey bunny, fruit snacks, gummy life savers, chocolate bunnies and more. If you are looking to buy a Easter basket for girls you will be please with this one. 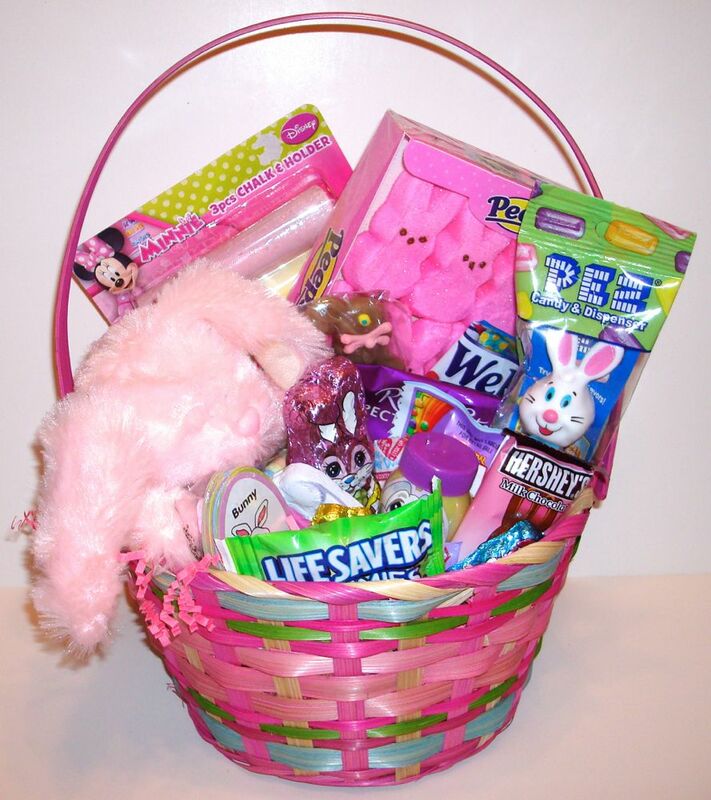 What more can you want then a cute basket designed for little girls filled with candy and toys.